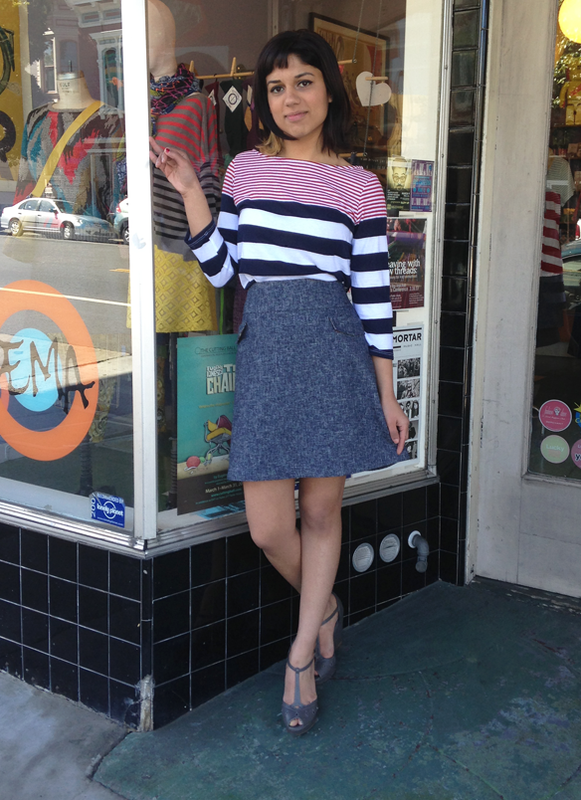 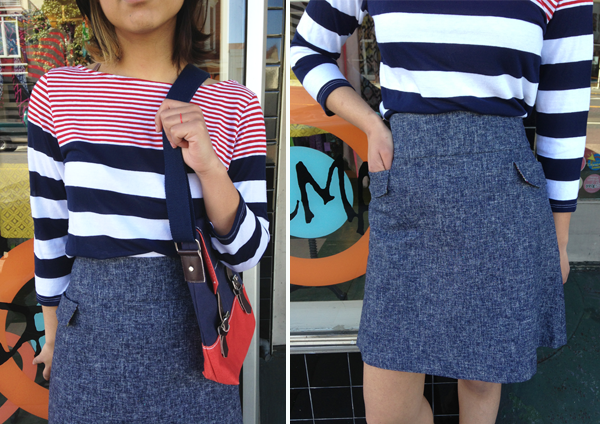 Come sail away in this classic spring/summer look. 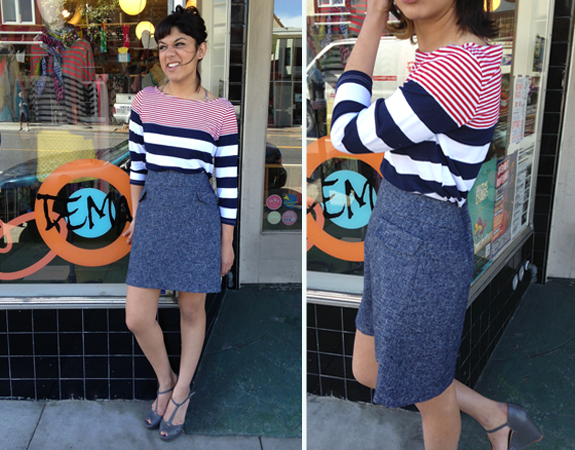 The tried and true striped boatneck, which comes in three color-ways, is sure to be an everyday go-to piece. 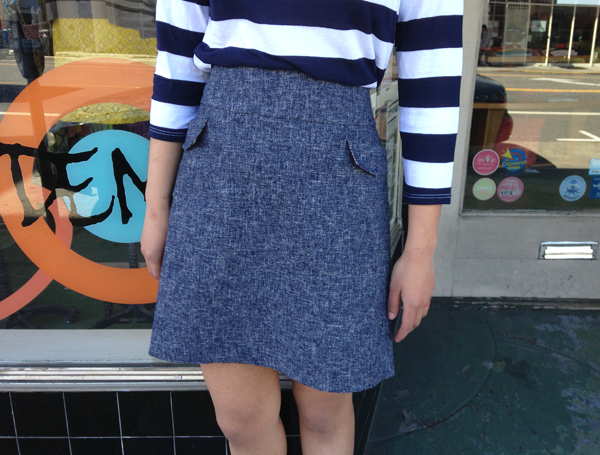 And our favorite new mini skirt, in a super versatile and lightweight denim!